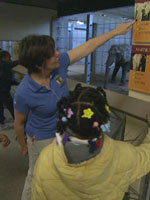 ... is the Manager of the School, Groups, and Teacher programs at the Chicago Zoological Society/Brookfield Zoo. She began there in 2007. In this capacity, Agnes oversees Connections classes for school groups, teacher workshops and graduate classes, field trips, and the award winning Levels of Engagement program. Approximately 225,000 students come through these programs annually. Agnes serves as an Arctic Ambassador with Polar Bears International and has twice facilitated the PBI Leadership Camp in Churchill, Canada. Agnes loves gardening, hiking, golfing, and the ocean. Her master's degree is in Education. ... earned her Bachelor of Arts in Communications from the University of Cincinnati and worked in Project Management for a global Clinical Research Organization until she realized her lifelong passion for nature and nature education was her true path. An avid gardener and plant lover, she began volunteering with the Horticulture department at the Zoo working in the gardens. Mollie also volunteered with the Education department at the Wild Discover Zones using inquiry to engage Zoo guests with science and nature in a fun, informal setting. These experiences inspired her to investigate a new career path, which led her to Miami University and the Project Dragonfly Advanced Inquiry Program. She earned her Master of Arts in Zoology in December 2013 and is now the Volunteer Coordinator at the Cincinnati Zoo & Botanical Garden. ... spent 31 years in Research & Development as a scientist and manager at Procter & Gamble in Cincinnati, and upon his retirement in 2012 immediately entered the Advanced Inquiry Program as a student. After receiving his degree from the program, with a Master Plan focused on engaging local residents to take conservation action, Ken stayed within the AIP as a facilitator and instructor. He volunteers with various departments at the Cincinnati Zoo & Botanical Garden, but most of his volunteer efforts have been within the education department sharing the zoo's conservation message at various wildlife exhibits. In addition to volunteering and being involved with the AIP, Ken enjoys the typical retirement life of travel, cooking, photography, and woodworking. ... is the Advanced Inquiry Program Manager in the Education Department at the Cincinnati Zoo & Botanical Garden in Cincinnati, Ohio. She oversees the graduate program at the Zoo and supports AIP students as they change their communities and grow in their personal and professional lives. She also is currently a facilitator for the National Network of Ocean & Climate Change Interpretation (NNOCCI) workshop series, working with climate science communicators across the country to get the word out to the general public about climate change impacts. She has a B.S. in Biology from Calvin College and completed her M.A. in Zoology with the GFP at Miami University in 2011. Since graduation, she's remained in the Dragonfly family by being a course facilitator for both web-based and Earth Expedition courses, and she cherishes the adventures and experiential learning it brings. Jerran loves photography, the outdoors, reading good books, delving into a bowl of ice cream, and is a passionate Michigan Wolverine fan. …is all about Project Dragonfly. Aside from completing her own M.A. in Zoology through the GFP, she also coordinates and leads Cleveland Metroparks Zoo's branch of Dragonfly's Advanced Inquiry Program (AIP). She loves helping students to discover the power (and fun!) of inquiry while exploring local environments. She strives to connect people to their surroundings and to help them discover their own voices for positive change. Katie loves traveling, at home and abroad and is always up for a good road trip, especially one that includes her dogs. She has a B.A. in environmental studies from Hiram College where she focused on environmental education and incorporating sustainability messaging into rural schools. She likes running and reading (though not at the same time) and is a soccer enthusiast. ... is the Curator of Education at the Cleveland Metroparks Zoo, where she also serves as a member of the exhibit design team responsible for including scientific and cultural information in state-of-the-art multi-species naturalistic exhibits. She holds a degree from the School of Natural Resources at the Ohio State University, where she studied wildlife management with an emphasis on behavioral science. 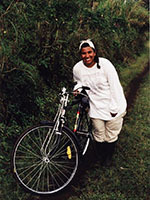 Beginning in 1990 she has been a participant in international workshops including workshops in Peru, Venezuela, and South Africa. As president of the Executive Board for the Cleveland Regional Council for Science Teachers, her conservation education program, largely inquiry-based, connects students and volunteers in the United States with students, scientists and animals around the globe. …is an Education Manager at the Cleveland Metroparks Zoo, where she creates new educational opportunities for a wide range of audiences and works with a stellar team to present existing programs ranging from school field experiences to camps to AIP. She holds a degree in Biology from the University of California at Santa Cruz (Go Slugs! ), where she focused on Marine Biology and Oceanography in the hopes of growing up to be Jacques Cousteau. She has nearly 20 years' experience in zoo education and was recently named as a member of the AZA's Conservation Education Committee. Christine likes to travel and is passionate about helping people connect their six degrees of separation to environments they may never experience firsthand. She is still drawn to the ocean and loves to sail. After a recent snorkeling experience during a Belize Earth Expeditions trip, she is now dreaming of putting a salt water tank in her home… one big enough to float in. ... is the biomimicry fellow at Cleveland Metroparks Zoo. She facilitates and co-facilitates the Advanced Inquiry (AIP) courses on-site while simultaneously working on her doctorate in Integrated Biosciences at The University of Akron. Her research focuses on plant tolerance thresholds to extreme environments, but her zoo passion is the importance of mega-herbivore conservation in the wild! Serving time as a military wife for 10 years and living all over the country, Rebecca decided to continue her education when her sons started elementary school. She obtained her A.S. in Science from Tidewater Community College, her B.S. in Biology (Ecology) from The University of Akron, and is anticipating a 2020 completion of a Ph.D.! Rebecca is enthusiastic about supporting and encouraging our students through their challenges. As a non-traditional student, she has faced similar hurdles and wants each of them to know that they can endure and see their goals to fruition! She spends her free-time with her husband, two sons and one daughter on their homestead, watching their two dogs, two cats, free-range chickens and guineas, and honeybees run the place, and creating beautiful flowerbeds. She has a particular penchant for what some call weeds. If the Lorax speaks for the trees, she, then, will speak for the weeds, because somebody has to speak for them! …is a conservation education consultant and with more than fifteen years of experience working with formal and non-formal educators. 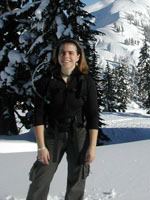 Stephanie worked for the National Wildlife Federation (NWF) for nine years overseeing their national Schoolyard Habitats Program and serving as the Senior Director for Field Education Programs. In her roles with NWF she oversaw curriculum development, teacher training programs, community-based volunteer conservation initiatives and program evaluation. 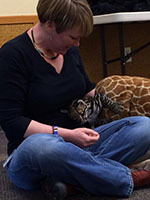 Most recently, Stephanie served as the Director of Education at Woodland Park Zoo where she directed and evaluated the development and implementation of educational programs for children and adults, schools and communities, that inspired them to care for and protect the natural world. Stephanie earned her master’s in Curriculum & Instruction from the University of Montana concentrating in conservation education. Travel and immersion in other cultures through exploration of the natural world has always been a priority in Stephanie’s life and she is thrilled to connect these professional and personal pursuits through the Advanced Inquiry Program at Dener Zoo. ... is the Teacher Professional Development Coordinator at the Denver Zoo as well as Co-lead on the Zoo’s Botswana Conservation Education project. Molly has a master’s degree in Environmental Education and always knew zoo education and conservation was the path for her. Molly began her zoo career at the Baltimore Zoo where she was the Keeper Encounter Coordinator and then left the East Coast to head to the Denver Zoo to become a trainer at their Wildlife Show. Molly left the Zoo for a year to pursue a job in Zambia where she met her husband and bribed him to move to Denver and live with her so she could return to the Denver Zoo. Molly has been at the Denver Zoo for 14 years and with each year that passes, her passion for wildlife (especially hornbills and wombats), global conservation and education is reinforced every day. When not at work, Molly spends her time with her husband Pete and their 2 year old son Charlie. Traveling to Africa for both work and pleasure is a huge part of Molly’s life as is enjoying eating three times her body weight in chocolate. 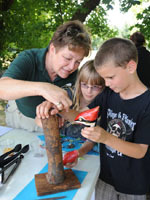 ... is the Adult Programs Coordinator at the Litzsinger Road Ecology Center, a division of the Missouri Botanical Garden. While earning her master’s in environmental studies (concentration in environmental education) at Antioch University New England, Susan worked to establish community vegetable gardens with seniors and other community members in Keene, New Hampshire. She loves helping people connect to the communities around them (human and otherwise), and she is excited to learn with and support AIP students as they transform their communities. In her free time, Susan often can be found taking a walk or up to her elbows in a garden somewhere. 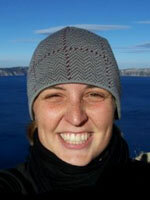 ... is a Conservation Program Manager and the Graduate Advisor and Coordinator for the AIP at San Diego Zoo Global. She earned a B.S. in Biology from Trinity University (Texas) and an M.A. and Ph.D. in Biological Anthropology from the University of Calgary. Her dissertation research focused on the behavioral ecology, nutrition and energetics of wild white-faced capuchin monkeys in Costa Rica. She has interdisciplinary research interests and experience in lab and field settings with project development and team-based research. 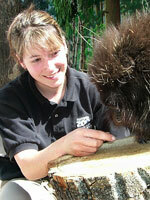 She loves teaching, mentoring and wildlife (especially primates! ), and is excited to combine these to help students realize their potential and explore their passion for conservation through the AIP. Mackenzie lives in Escondido, California, with her husband, Javier, and dog, Murphy -- they enjoy many activities there, including cooking, camping and beach time in the warm weather and sunshine! ... is Director of Community Engagement at San Diego Zoo Global, heading up a dynamic team dedicated to designing and implementing programs that connect communities to conservation for the benefit of wildlife and habitats. She earned her bachelor's and master's degrees in biology at San Diego State University with a focus on the population genetics of desert aquatic insects across the Baja California Peninsula. She has taught science in a number of formal and informal settings, including the San Diego Zoo Institute for Conservation Research, San Diego Natural History Museum, Cardiff Elementary School, and San Diego State University. As an NSF science fellow, she co-taught hands-on science with classroom teachers across San Diego County and also spent several seasons in Arctic Alaska, bringing hands-on science education to unique and underserved communities on the North Slope. 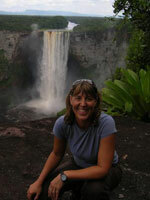 Maggie is also an instructor for Project Dragonfly's Earth Expeditions course on the Big Island of Hawaii. … is a Senior Research Associate on the Community Engagement team at San Diego Zoo Global. Andrea’s love for nature began in the Midwest while visiting the Milwaukee Zoo as a child. From there, she ventured to Alaska to pursue her B.S. in Biological Sciences at the University of Alaska Fairbanks, where she studied ungulate behavior and hierarchy structure among reindeer, muskox, and caribou herds. She earned her M.A. in Zoology from Miami University with San Diego Zoo Global’s first AIP cohort. She built upon previous experiences in the rainforests of Borneo with Orangutan Foundation International to focus her AIP projects on engaging communities in southeast Asian rainforest conservation. She has stayed active with this cause as part of the palm oil action team with the Rainforest Action Network. She continues to share her passion and experience with AIP students as the facilitator for a variety of courses, including Conservation Research in Living Collections Institutions, Foundations of Inquiry, Project Design & Assessment, and Graduate Research: Special Topics. She loves to spend her free time outdoors with her husband, Dylan, their two kids, Mason and Amelia, and their German wire-haired pointers, Nashobe and Indah. ... is a Senior Research Coordinator on the Community Engagement team at the San Diego Zoo Institute for Conservation Research. She conducts social research to understand the human dimensions of conservation issues and to evaluate conservation learning programs. Her current work, designed as her Ph.D. project in Human Dimensions of Ecology and Environmental Science at the University of Maine, is based in the conservancies of northern Kenya. There, she works in partnership with pastoralist communities and conservation organizations to promote coexistence between people and wildlife, including reticulated giraffe, leopards, and elephants. During her time at SDZG, she has served as the AIP program coordinator and now facilitates AIP courses in socio-ecological research methods and conservation education, as well as the Hawaii Earth Expeditions course. Kirstie earned a B.S. in Environmental Science from UCLA and subsequently worked as a SDZG Research Fellow to measure the long-term outcomes of a professional development program for teachers. She then completed her M.A. in Zoology through the Global Field Program, traveling on Earth Expeditions to Baja, Guyana, and Kenya, where she centered her work around the intersection of participatory research and conservation photography. … is the Associate Director of Community Engagement at San Diego Zoo Global. As a social scientist, she establishes and oversees the social aspects of community-based conservation programs focused on human-wildlife interaction and conservation education in Mexico, Peru, Kenya and Southeast Asia. Her interests center around understanding the attitudes/beliefs and values of local people towards wildlife, and integrating outcomes to help build local and sustainable conservation programs. 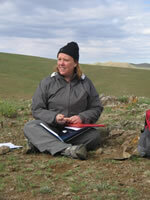 Jenny serves as the AIP facilitator for a Human Dimensions of Conservation course. She earned her Ph.D. in Human Dimensions of Wildlife from Memorial University (NL, Canada). She also holds a M.S. in Applied Animal Behaviour and Animal Welfare from Edinburgh University (UK), and a M.S. in Conservation of Biodiversity and Management of Protected Areas from La Sapienza University of Rome (Italy). She is a world traveler and spends her free time at the beach and camping with her husband, Philippe, and two boys, Nicolas and Vincent. ... is a Coordinator of Professional Development for Educators at the Wildlife Conservation Society. Kathryn has a BA in Biology from the University of Mississippi, an MS in Conservation Biology and Sustainable Development and a Certificate in African Studies from the University of Wisconsin/Madison, and an MS Ed in Secondary Science Education from Lehman College. Prior to joining the WCS Professional Development team she was a Secondary Instructor in the Bronx Zoo’s School Program Department, where she taught informal science programming to middle and high school students and developed and taught courses for graduate students. She then taught middle school science for three years as a New York City Teaching Fellow before returning to WCS to work with AIP. In addition to a love of conservation and science education, Kathryn is an avid knitter, crafter and baker – all of which she hopes to share with AIP students! ... is the Manager of Professional Development for the Wildlife Conservation Society. In his current role, he is responsible for supervising a team of Professional Development Coordinators and running all aspects of teacher and graduate education for WCS Education across all five of its NYC-based parks. In his professional history, he's been a zookeeper, research assistant, environmental educator, high school science teacher, and university faculty member. He holds a B.A. in Physical Anthropology from Penn State University, an M.Ed. in Science Education from City College of New York, and is a doctoral candidate in Teacher Education and Teacher Development at Montclair State University. His doctoral dissertation is on exploring informal science educator decision making around inquiry-based teaching through the lens of the Anthropological Theory of Didactics. This focus has given him the amazing opportunity to take several doctoral courses at the University of Copenhagen in Denmark, exploring issues in science and math education with a team of international scholars! ... has been passionate about wildlife and conservation since he was a child. He completed a bachelor’s degree in mathematics and biology at Tufts University in 2011, and he subsequently earned a Ph.D. in the Ecology, Evolution and Behaviour program at the University of Texas. For his dissertation, he worked on the community ecology, response to climate change, and conservation of birds in the Eastern Himalayas. In his spare time, Gautam is an obsessive birdwatcher and amateur naturalist. ... works as the Youth & Adult Engagement Manager in the Learning and Innovation Department at Woodland Park Zoo in Seattle, where she provides professional development for formal and informal educators; manages youth programming (school partnerships, afterschool programs and summer learning programs); and facilitates programs that engage youth and adult audiences in wildlife conservation. Katie is a huge believer in the potential of international experiential learning to foster a sustainable global community! She spent a year in Iceland as an exchange student, and then received a degree in biology and a minor in African studies from Colorado College (with two semesters of study abroad in east and southern Africa). She completed her M.Sc. degree in Biodiversity Conservation and Management through Imperial College London. ... is a lead learning facilitator at Woodland Park Zoo where he works at the intersection of formal and informal education. He earned his bachelor’s degree in ecology, evolution and animal behavior from the University of Minnesota and is a proud member of the 2015 AIP cohort from WPZ. He has worked as both a classroom teacher and an informal educator with a focus on inquiry-based strategies and also has a passion for youth development, student voice, and student leadership. He loves working with the AIP because he firmly believes that inquiry based in communities' interest and concerns is a powerful tool for equity and empowerment.